*Only $105 for Self-collection. (Pay $125 online, will refund $20 in cash upon collection). *Self-collection only available @AMK Shop @12pm-7pm from Mon-Sat except for public holidays. 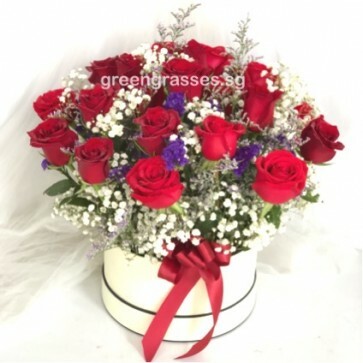 24 Red Roses arrange in Round Gift Box. *Meaning of 24 Roses : Forever Yours.